Not to be confused, there are two Chad Johnson that you may have referred to, however you could skip to either of the following Chad Johnson Net worth. 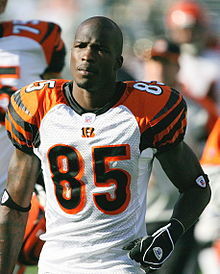 Chad Ochocinco Johnson is a former American Football player and he played as a wide receiver. 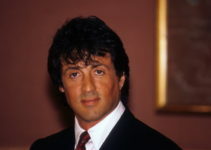 He was born in January 9, 1978 in Miami, Florida. The 6 ft 1 inch player was even listed as ‘Most influential Atheletes on Social media’ back in 2011 by CNBC. He was able to outrank sports persons like Lebron James, Mike Tyson, Tiger Woods, etc. The wide receiver had a $400,000 deal with Motorola that included sponsorship deal for his Twitter page. He has over 3.6 Million followers on his Twitter account till date. Additionally he also has almost 2 Million followers on his official Facebook page, and more than 800 thousand followers on his official Instagram page. Chad Johnson graduated from Miami beach Senior High School in 1997 and then attended Langston University but did not play Football there. He started a remarkable journey to his career when his coach Dennis Erikson recruited him aggressively to play for the Oregon State Beavers football, when he transferred from Santa Monica College, which was a community college to Oregon State University. He also went on to break a school record for longest touchdown reception with a 97-yard reception in a game against Stanford University. The journey in the professional career started when Cincinnati Bengals of the National Football League choose Johnson back in 2001. He spent more than 9 years there, out of which the first year came average, with 28 passes and 1 touchdown. He was later able to set up record in 2003 with Bengals receiving 1355 yards. Later he joined New England Patriots where he was set up in the contract for three years, however later he was released only after one year. Later he joined Miami Dolphins on a two years deal that came upto 2014, followed by his two years deal with Montreal Alouettes in the Canadian Football league where he joined for two season. However he was suspended for a whole year for not attending the spring training camp. Later the contract was not renewed by Alouettes, which made him a free agent. Johnson married Evelyn Lozada after dating her for almost three years. He proposed her on 2010 when they were already dating for a year and then the couple got married in 2012. Lozada is a television Personality who was known for Basketball wives, however the couple went on to divorce on the same year. Johnson was arrested for the charge of domestic battery. The police claimed that he headbutted his wife Evelyn Lozada after an argument. He was later released for a fine of $2500 same afternoon. Later that day, he was even released by his club Miami Dolphins. Johnson was sentenced to the Jail for thirty days for not meeting the probation rules. However, a plea deal caused no jail times, although Johnson playfully slapped his male attorney on buttocks in the court, which convinced judge Kathleen McHugh that Johnson was not serious and rejected the plea. His probation period was also extended for three months for not being serious. Later he was released after seven days of jail when he apologized to the court. Johnson also played Soccer other than Basketball. He has revealed on his Twitter account through a tweet that Jose Mourinho invited him for a training with Real Madrid. However, he says that the training did not go well as he missed the ball control. Although the training was not meant for his professional career as a Soccer player, this shows that the American Footballer could also play soccer. Chad Ochocinco Johnson Net Worth – $4 Million USD. Chad Johnson was popularly known for his presence in the 12th Season of The Bachelorette. However he was eliminated in the forth week. The 6 ft 2 inches 28 years old Chad Johnson is a Luxury Real State Agent from Tusla, Oklahoma. The American Bachelorette was considered as the Bachelorette villain as he was thought to build twist and tensions among other participants. Johnson who was eliminated on the forth round of the season 12 admitted that his decision to take part on the reality show was highly influenced by his mother who died because of cancer. He considers his mother as his friends and says that he shared everything with her. After graduating from University of Oklohama, he joined the U.S Marine and served his country for several years before he switched his career to work as Luxury real estate agent. He loves his dog and recently posts about his dog on his social media. His dog is Maltese Yorkie and name is Pumpkin. The Bachelorette’s Chad Johnson’s income comes as an agent and his estimated net worth is around $800,000. Apart from being a real estate agent, he has also confirmed that he is a day trader and a website flipper. He is fond of cars and enjoys watching movies. His all time favorite movie is The Notebook. Additionally, he says it does not bother him to take a role as a bad guy as he was considered in the bachelorette season. Even though he is no more on The Bachelorette, he is one of the most popular from the show and will eventually return on “Men Tell All” special episode on Tuesday, July 26. Additionally, he will also feature on Bachelor in Paradise.